A boy who seeks answers about God’s presence in everyday life, finds his friend held the key to his revelation all along. This gripping tale follows a pair of dear friends on a fishing trip that turns dangerous, then miraculous and leaves Keoni with more answers then he ever dreamed possible! Every child wonders why we can’t see God. 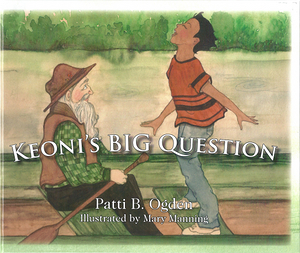 Keoni’s Big Question makes the answer easy to understand.